I was in a meeting with some CEOs and Human Resource Managers yesterday. OK. It was actually a church project committee meeting. The committe is comprised of three representatives from each department in the church. As our agenda moved towards the Youth Department, we delved into the state of unemployment in the country. "Even if there is employment, are they employable?" "I get a lot of CVs and I wonder if these people went to school. So many typographical errors. So many lies!" Owing to the fact that I am also seeking a purposeful job, I sat there sipping it all in. So I went back home to review my CV. Writing a good CV (that especially works in Nigeria) is all about presentation. 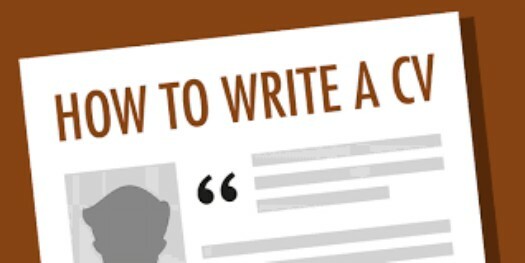 Presentation is everything - Your content, layout, template, font type, font size, line spacing, bullets and borders are very important to achieving a great looking CV. The ONLY difference between two people applying for the same job is how they present themselves. Someone who has 2 years of experience can overshadow the other person who has 5 years of experience with how s/he presents the CV. There is really no particular template or formular to use. Just freestyle. However, these points are VERY crucial. You can tag it as your objective. An objective is simply a goal. It shouldn’t be more than three sentences, or if you are such a good writer (like me. Lol), four short sentences will do. Try to marry your skills with the job you are applying for here. You have to be careful here. This is where they mark many CVs down. It's been suggested that we should put our bio-data at the tail end of our CVs. Basically, you should include your address, email, phone number, and maybe blog address (if you are a blogger like me *winks*) Don't bother stating whether you are single or married. Don't also bother stating whether you are a Christian or Muslim (They don't care anymore). This should point out the name of the company, your job title, your job description and the duration of service. The address of the company is not compulsory. Your experience(s) should be written chronologically (that is, most recent to least recent). Ensure that you describe your job in past tense. You can include a record breaking GP, an award, a surpassed target, an impeccable record and the likes. Flaunt what you've got here! Be authentic. Don't lie on your CV. Ensure that you can defend everything that you have written in your CV. Use simple words. Don't go and be blowing grammar there. Ensure your CV says you are constantly adding value, improving your skills or getting more education. Keep your CV to a maximum of two pages (unless you have got "plenri" years of experience). Proofread! It's very important that your CV is error free. Proofread and proofread it again. Show it to someone you trust to go through it before sending it out. And lastly, be creative. Make it "wow!". Always remember that your CV is a presentation of yourself on paper. It is YOU talking about YOU in YOUR very own words and in the best way possible. Let it show how awesome you are, and how you can do ALL things through Christ who strengthens you. *Take high 5 jhorr! * You are born to stand out because you are the light of the world. My own CV is only a page. And it's as beautiful as I look. Update*: Please stop sending your CVs in MS Word, auto-format could distort the arrangement and falsely present you as an untidy applicant. Use PDF! Got questions, contributions or any issue whatsoever? Share them in the comment box below. Let's put our heads together. (Prayer: Lord, give us our dream jobs in Jesus' name).